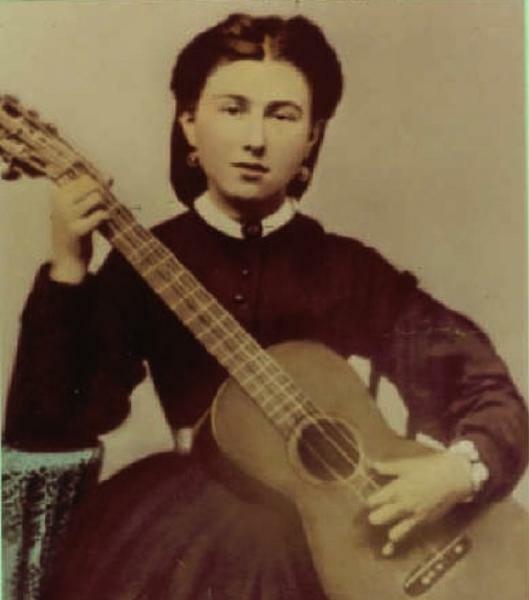 Amelia Hyer was born circa 1849 in Germany. Research Note: Possibly a sister of Amelia is Margaret Hyer, age 27 or 29, found in the 1870 census in Lockport as a domestic servant in the household of lumber dealer Daniel Van Valkenberg. Neither Amelia nor her family has yet been found in the 1870 census. She married Gottlieb Weiler, son of Balthasar Weiler and Anna Walter, on 18 April 1870 in Lockport, Niagara County, New York, according to Charles' military pension file. Gottlieb Weiler and Amelia Hyer appeared in the New York state census of 1 June 1875 in Lockport, New York. Other members of the household included Wilhelmina Louisa Weiler and Charles Henry Weiler. Gottlieb Weiler and Amelia Hyer appeared in the US federal census of 1 June 1880 in Lockport, Niagara, New York, at Union. Other members of the household included Wilhelmina Louisa Weiler, Charles Henry Weiler and Anna Weiler. Amelia Hyer died on 11 July 1891 in Buffalo, Erie County, New York. Gottlieb Weiler became a widower at her death.